The day almost always starts with a walk/run (run is actually a waddle), shower, breakfast which you may be surprised does not include any tea. Keeping the palate as neutral as possible. If I am working on an idea of a tea blend at its early stages, then the day is about researching ingredients that will meld well with say liquorice. Liquorice is like marmite or in a mixed bag of sweets, the liquorice is the one that you have first or last sweet you go for. Or one you push aside and it’s the only one left. Some years ago, I had liquorice in a dessert and when I saw it on the menu I had planned to order something else. However, the waitress persuaded me to try it. 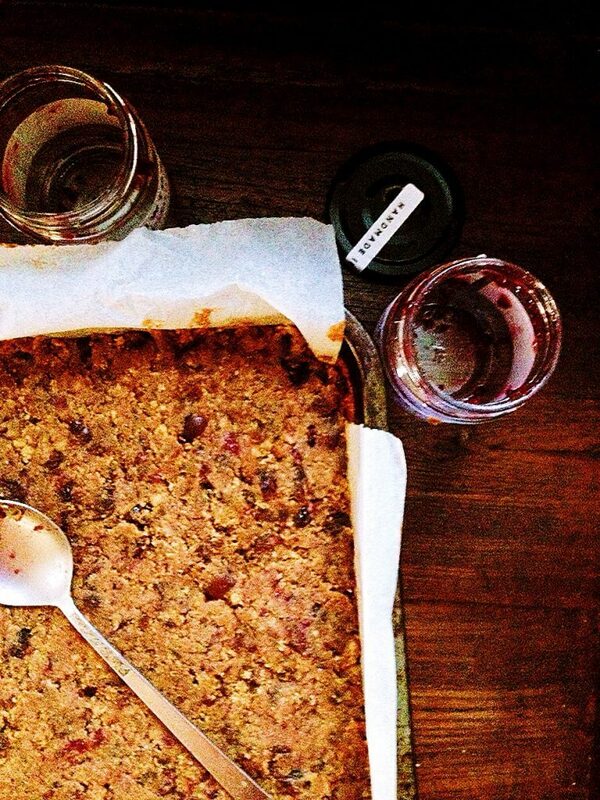 One of those desserts that so skilfully made, I wanted to replicate it in one of my blends. Liquorice is a strong flavour, and in no way do I want to subdue it but to highlight it with all the other ingredients in the tea blend. The next step would be to consider which Ceylon tea would go well with it. A fine black tea from upcountry would not really compliment the tartness but a mid to low grown tea has the subtly and strength to meld well with liquorice. It may be recalling from your memory palate of what black teas that I had tasted and/or tasting a fresh batch of Ceylon black tea. It might be a that the best combination is blending black teas from different regions of Sri Lanka to achieve the balance that I am seeking in this tea blend. Then it’s a matter of working out the proportion of Ceylon black tea to liquorice. Brew the tea and taste (slurp!, I have yet to learn to spit but I think if I can swallow the experimental ones, it’s a good thing). I usually have dry biscuits handy and munch on these before I taste the next tea. I will usually leave the tea blend for a day or few days and go back with a fresh palate and mind. So, it becomes not just a day in the life of a tea blending expert but days really!! There may be many iterations of this process until its nailed within that day or over a course of days. I have a rough idea of what flavours would work well and have note books, spreadsheets and scribbles that I refer to. In the afternoon (if the base flavour is a good foundation to work with) I will add additional ingredients to bring it together. Sprinkle in some cocoa shells and cocoa nibs blended in and chocolate mint. This too will take some time to experiment with the proportion of cocoa, mint to tea and liquorice. I will then brew these as well and taste, write up notes and take photos so that I remember the colour and hue of the brewed liquor. I add flavouring to round off the tea blend, in this case its vanilla. We drink and eat with our eyes as well so I will add complementary flowers or herbs. I will leave this for a day or two or more if I think I need to take a wee bit longer and then brew the tea again and taste it but this time at a different time of the day. The blends are packed in tins, labelled and put aside. The washing up commences and for some reason that seems to take ages. Its during this stage that I have lots of ideas on what you could pair this tea blend with, an ideal time or occasion, who to have it with and the hardest thing is capturing it all on paper before I forget it. I will leave my notes and test blends aside for a day or two and brew it again and review my notes. I will make changes or add or even take out some ingredients. This will go on and on and on for few days or weeks until I think it’s a good. I have a mini tea party and I invite friends and family to taste it. 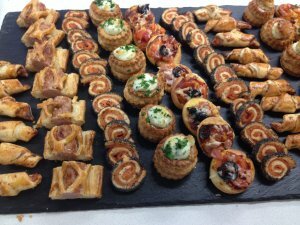 This is an opportunity to test some tea and food pairing as well. I also send these tea blends out to friends overseas and I am just amazed at the way they describe the tea blend, taste and love the suggestions. More washing up later. I write up the notes from all their comments and feedback. Over the course of the next few days I will look to changing the recipe based on feedback. 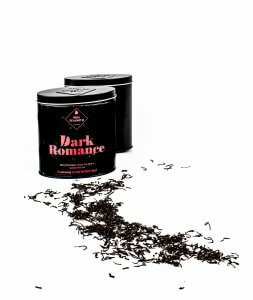 After all that, we have a new blend – Dark Romance! 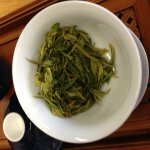 So, its not just a day in the life of a tea blending expert but days! Dark Romance is an inaugural blend and I know you will love it as much as others have, to receive 10% off your first order sign up on the Contact page. ← What is Ceylon/Sri Lankan Tea?